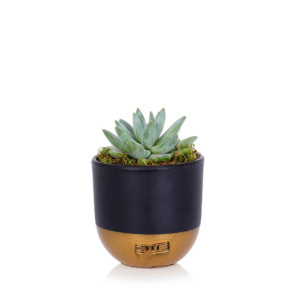 This distinctive heart-shaped succulent will bring a smile to anyone’s face. 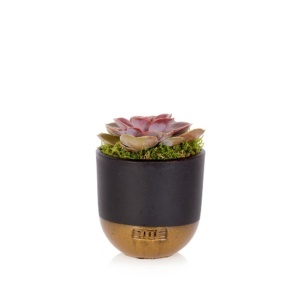 It is a tough little succulent to add interest and style. 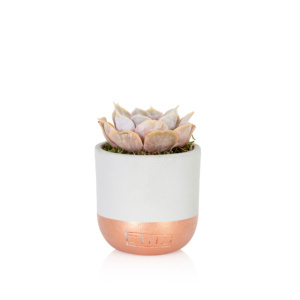 This stunning heart-shaped succulent is the perfect gift for any plant lover! Planted as a pair of hearts to signify LOVE! 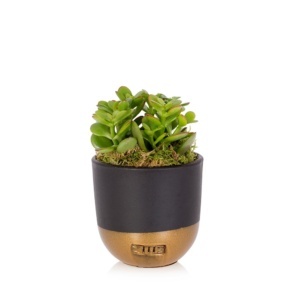 Add this striking green succulent to your collection for a genuine statement. 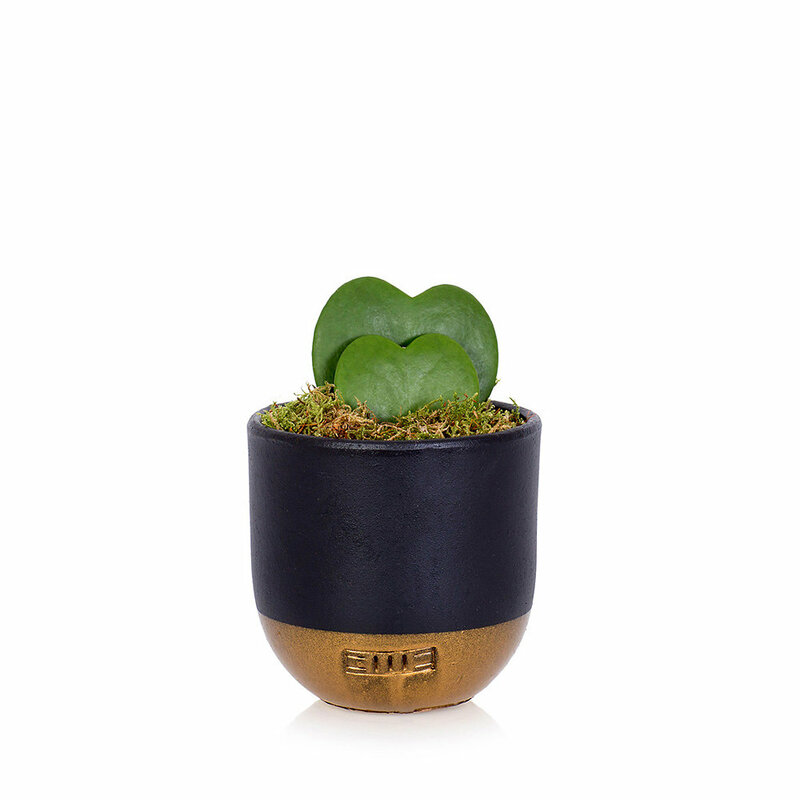 These young Hoya Kerrii succulents are planted in our signature black and gold pots. Like all the best indoor plants, this happy little fella will stay with you for many weeks or months and require nothing but a little drink every so often. Do not water the leaves. A very tiny bit of water can be put under the leaves, straight into the soil. The Haworthia is very used to dry conditions and thrives in that, so water once every 1-2 months! What could be more simple? I ordered my Hoya Double Heart late evening Tuesday, it was dispatched Wednesday and arrived Thursday, brilliant service. It was very well packaged and far exceeded my expectations in quality. I recommend The Little Botanical and will certainly use them again. This is simply stunning. One of my all time favourites! I’m a heart shaped plant! What could be better!